In our meat department, you will find a wide selection of natural and organic beef, poultry, and lamb in addition to sustainably harvested seafood that is either caught or farmed in ways that consider the long-term vitality of harvested species and the well-being of the oceans. We abide by our buying criteria and ensure that our meat and seafood products are free of growth hormones, antibiotics, nitrates, and artificial coloring. 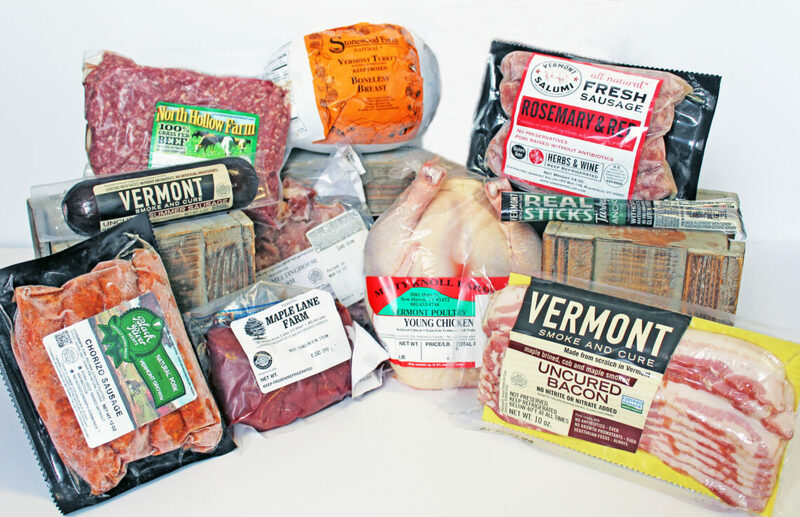 We are proud to offer many local meat options such as organic beef from Maple Lane Farm, sausages from Vermont Salumi, chicken from Misty Knoll, turkey from Stonewood Farms, and a range of New England-raised meats from Black River Meats.